For decades these peculiar historic buildings sat hidden in plain sight. 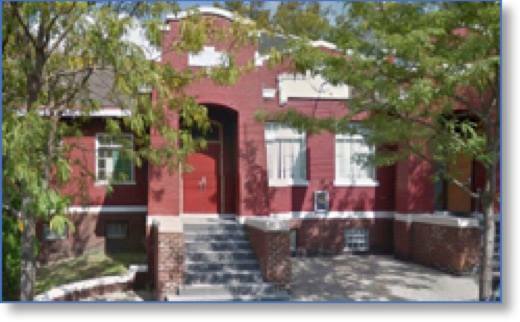 Maybe it was a house with two front entrances or a church. Maybe a building had a lot of hard concrete floors. 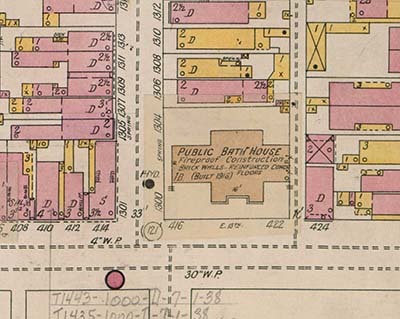 In Over-the-Rhine, these could have been breweries, factories, or….a bath house? Highlighting the history of one of the neighborhoods more hidden quirks, the Over-the-Rhine Foundation will host an event later this month in a former bath house. “In the early 20th century, the high cost of in-home plumbing and water heaters meant that Cincinnatians bathed at commercially operated bathhouses,” Foundation Trustee Tom Hadley told UrbanCincy, “Social reformers advocated for publicly funded baths as a way to check the spread of disease, improve living conditions and educate about the benefits of cleanliness.” He hopes the event can showcase this particular aspect of OTR history. Foundation organizers hope the event will encourage attendees to explore the history of OTR in an informal and interactive experience. The event called, “Taking the Plunge: History of Public Bath Houses” will be held on Thursday, Nov. 1 at 5:30 PM at the location of the former St. Mary’s Baptist Church in Pendleton. It is ticketed and tickets can be purchased here for $25. The Foundation will host a social hour at the Urban 3 Points Brewery following the program. The event will be located within two blocks of a Cincy RedBike station on 12th and Broadway and is served by the #24 and #19 Metro bus routes via Sycamore Street.